Nautilus is the official desktop wallet for Pirl. 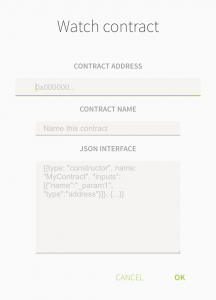 You will need it in order to add and execute “Register Node” from the smart contract needed to run the Pirl masternode. 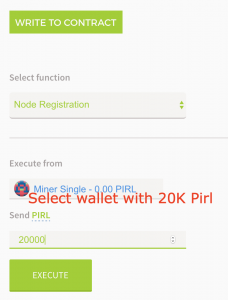 You can use the desktop wallet to create your Pirl wallet Downloads Nautilus or you can use the web wallet at: https://wallet.pirl.io/. There’s no getting around it, you will need to somehow get twenty thousand PIRL into a wallet. Note:Do not send anymore then 1 or .5 pirl to this address for verfication, this is NOT the address you will send the 20k pirls to. that comes later. Premium MN: For Contract Address fill in 0x256b2b26Fe8eCAd201103946F8C603b401cE16EC. The Contract Name contract name for this is premium even though it can be anything you’d like. Under available functions select Node Registration and select the wallet containing your 20,000 Pirl for Premium MN. Underneath that, fill in 20,000 Pirl for Premium MN to send the stake to the contract. The Masternode Wallet id is the address of your Nautilus wallet, the one which contains 20,000 Pirl at present.